DENVER — Get ready to share the Denver streets with more scooters. On Friday the company Lime is rolling out its dockless electric scooters in Denver, the first city in Colorado to get the program. Lime-S is a new service from the same company that launched a bike sharing service in Aurora in 2017 . The service allows users to rent a scooter using an app, and return it wherever they want. Lime’s scooter will cost $1 to unlock and 15 cents per minute of riding. The scooters have about a 20-mile range, and can travel about 15 miles per hour. "We think Denver is a city that's open to new possibilities and ideas," said Sam Sadle, director of strategic development for Lime. "Scooters, while they look a little funny at first, you get on one, you get riding, and it's something unlike anything else." Lime previously rolled out scooters earlier this year in San Diego, Washington, D.C., Miami, San Jose, and Charlotte. However an investigation by WSOC uncovered that Lime did not have the proper permitting when it launched the service in Charlotte. The bikes were pulled, but returned to the streets this week. And in San Francisco, the city just ordered Lime and other scooter sharing companies to remove their electric scooters from the streets until a permitting process can be set up. 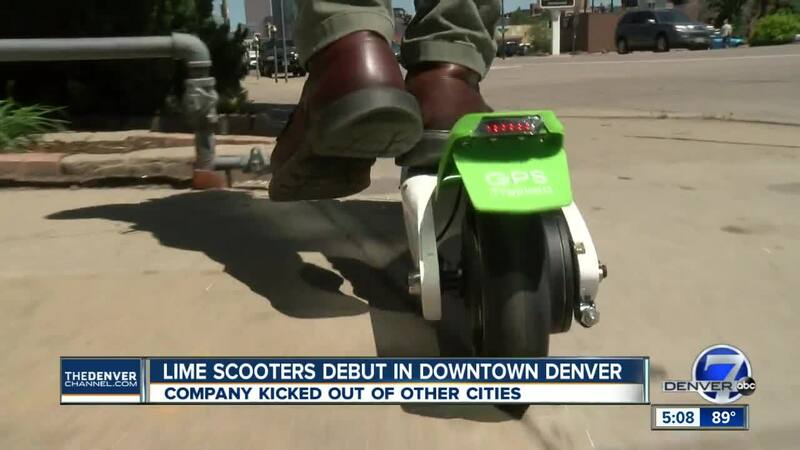 We are concerned about the use, placement, and quantity of these scooters operating on Denver’s sidewalks, particularly in areas of high pedestrian activity. In addition, city ordinance prohibits anything from encumbering the public right of way without a permit and our Department will be removing scooters that are blocking sidewalks and other public spaces. At the same time, we are working to develop new rules to regulate these activities in the public right of way that we aim to put into effect in the very short term. 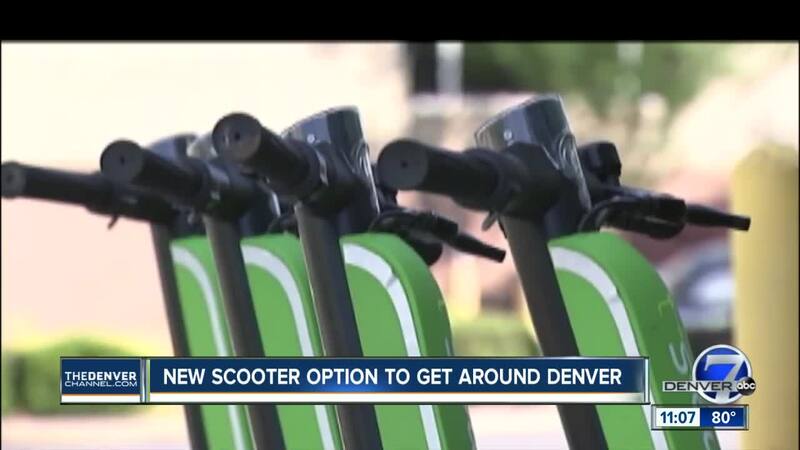 Lime says this is still a new technology for many cities, and they will work with the city of Denver to move forward. "We're gonna continue to talk with the city as we go through the process and see how everything works , see how the scooters are being used, and we'll work with them and see what's the right approach for Denver," Sadle said.